We've got special intel that this Saturday, the full group of vigilantes known as the Phantom Thieves of Heart are coming to Omni Fandom Expo...and they need our help to solve a mystery! Learn about all the details in a two-part panel extravaganza, first with the Totally Official Phan-site Meeting in Panel Room 1 at 11 AM, followed by an interactive game and leading to the Top Secret Phantom Thieves Meeting at 6 PM, where our secretive vigilante heroes are said to make an appearance...! Details about the interactive game will be revealed in the first panel—come join Phan-site Admin Mishima Yuuki (played by Omni Fandom Expo cosplay guest It's Mur) as he dives into the lore laid out by the Thieves. 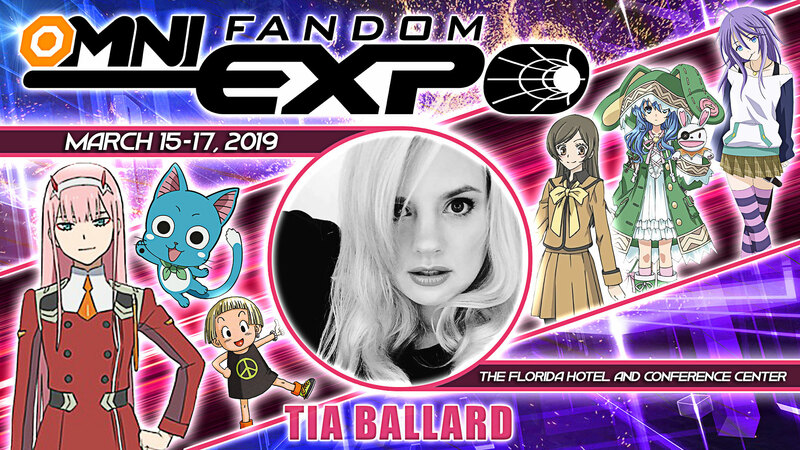 Omni Fandom Expo 2019 is proud to announce voice actress Tia Ballard is joining us in March in Orlando! Having just been announced as the new voice of Kagura Soma in the new FUNimation dub of Fruits Basket, we're quite excited! She also joins her castmates from Darling in the FRANXX Brittany Lauda and Matt Shipman! Tia Lynn Ballard is an American actress, artist, comedian, writer and voice actress for FUNimation Entertainment and Seraphim Digital. Her notable roles include Happy the Cat (Fairy Tail (2009)), Mizore Shirayuki (Rosario + Vampire (2008)), Nanami Momozono (Kamisama Kiss (2012)), Yoshino/Yoshinon (Date a Live (2013)), Chiho (The Devil Is a Part-Timer! (2013)) Megumi Shimizu (Shiki (2010)), Hannah (Attack on Titan (2013)), Rea Sanka (Sankarea: Undying Love (2012)), Kusano (Sekirei (2008)), Porche the Foxy Pirate (One Piece: Wan pîsu (1999)), Xiao Mei (Fullmetal Alchemist: Brotherhood (2009)), Rin Ogata (RideBack (2009)), Hibana (Deadman Wonderland (2011)), Inaho (Maken-Ki! Battling Venus (2011)), Eris (Cat Planet Cuties (2010)), Priscilla (Nintendo's Monster Tale) and Zero Two (DARLING in the FRANXX (2018)). She also draws, writes, and bakes a mean cheesecake! Don't forget to get your tickets at the site while they're cheaper than at the door! This won't last much longer, so don't miss out! OMG GUYS! GUYS! I can't believe I get ANOTHER Special Guest announcement! AND they're also coming direct from Japan!! Hisashi Kagawa is best known for being the character designer of Saikano: She, the Ultimate Weapon; One Piece: Defeat The Pirate Ganzak! ; Kamikaze Kaitou Jeanne; Toriko TV; and Dream 9 Toriko x One Piece x Dragon Ball Z Super Collabo Special. Some of his other works as an animation director includes Pokémon (1997), Angelic Layer (2001), Fresh Pretty Cure (2009), Soul Eater (2008) and Toriko (2011). He also lent his talents to Sailor Moon, which include Sailor Moon R, Sailor Moon S, Sailor Moon SuperS, and the opening for Sailor Stars. His major episodes included Makoto Kino's, Black Lady's and Haruka Ten'o's first appearances and the past of the Silver Millennium. He also did the character designs and work as animation director for the Sailor Moon S movie while also working as an animator on the Sailor Moon R movie. For a full list of credits, please check out the below link! Pre-Registration tickets are ending soon, so don't miss out on saving over at-the-door pricing for the weekend! We can't wait to see everyone in March! 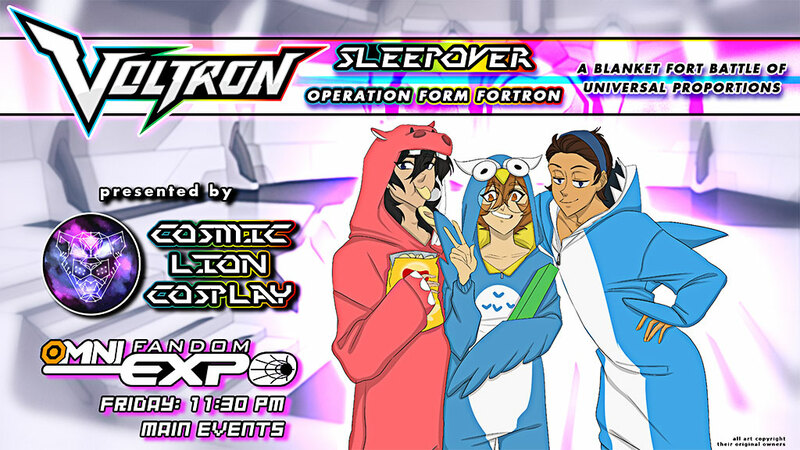 COSMIC LION COSPLAY is ending your night with a big Slumber Party Bash featuring your favorite Legendary Paladins! Get ready for some fun games, crazy trivia, an intense Blanket Fort Building Competition, and a special raffle! Pajamas are encouraged but not required. Bringing sleeping bags, blankets, and pillows for the fort building competition is also heavily encouraged! 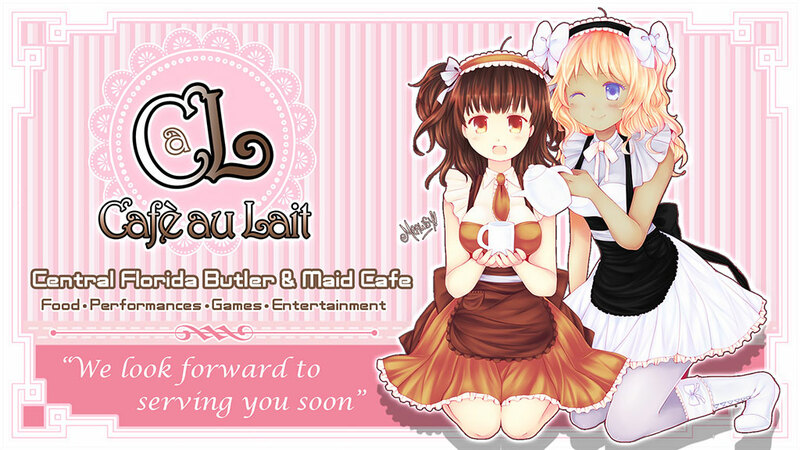 Cafè au Lait Returns to Omni Fandom Expo! 1ST ANNUAL UV CARDBOARD MECH/MONSTER MAD SCIENCE CREATOR CONTEST! 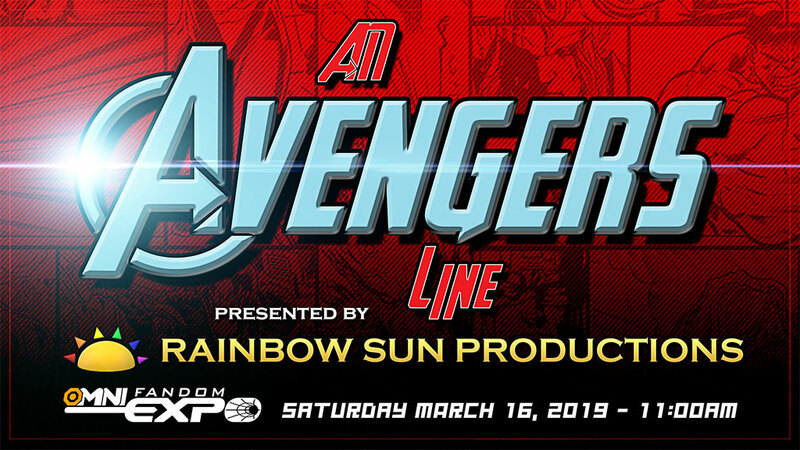 Admission:	Free entry with a valid OMNI FANDOM EXPO 2019 pass. 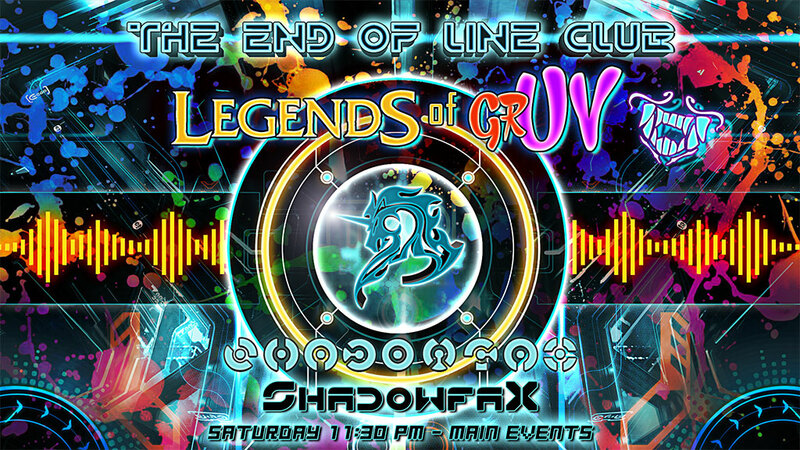 Join Shadowfax and special guest DJ Wildfire amidst the digital glow of the GRID as they spin the hottest Vocal/Anthem/Uplifting Trance tracks straight from the top of the Euro club charts! 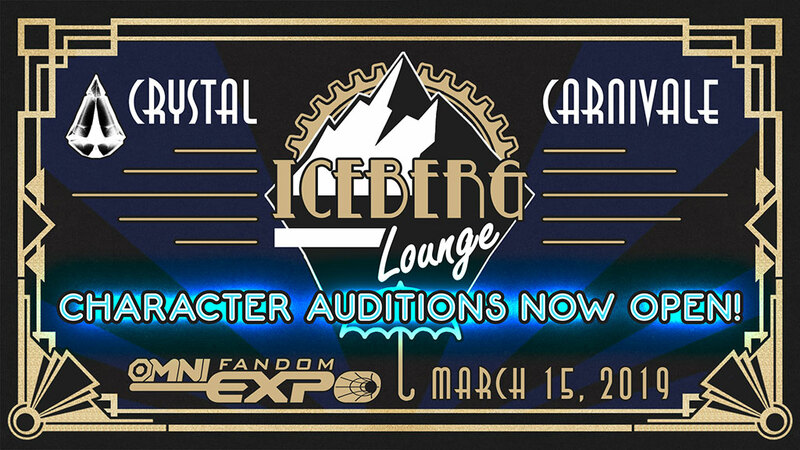 Crystal Carnevale - Iceberg Lounge Character Auditions NOW OPEN! For the first time ever, Omni Fandom Expo is actively looking for talent to join the cast of this show! Have you ever wanted to make your fellow attendees laugh, cry, smile, and have a good time? Do you love to help make some incredible memories? Then this show will be for you! The Crystal Carnevale is a fully interactive experience for our attendees, with live stage performances interspersed amongst the games and dancing. This means that cast members are expected to mingle and interact with the crowd while staying in character (also known as "lane bits"). So dust off your improvisation skills, and click the link if you think you have what it takes! Omni Fandom Expo is incredibly proud to announce that Mamoru Yokota will be flying in from Japan and attending in 2019! Mamoru Yokota, born February 18, is a Japanese animator. While in junior high, he attended Comiket, which sparked his interest in animation. Eventually Yokota moved on to many careers in media such as illustration, genre development, designing, card game producer, animation producer, game director and live-action drama advisor. Works of Yokota’s include Producer for “Kanon” and “Air”, Character Design for “Rune Soldier” and “Magical Kanan”, and Animation Director for “Death Note”, “Naruto Shippuden”, "Gatchaman Crowds" and the video game “BlazBlue: Continuum Shift II”. We have worked incredibly hard to get him to Florida to be able to visit all his fans and made sure this will be an incredibly special occasion! Yokota-san will very graciously be doing a VERY LIMITED amount of ART COMMISSIONS at this booth on a first come first serve basis! So, if you want to purchase one, you'd better be in line immediatly! Prices will be announced soon! We also have a few more surprises involving Yokota-san that will coming up so keep a look out for them! 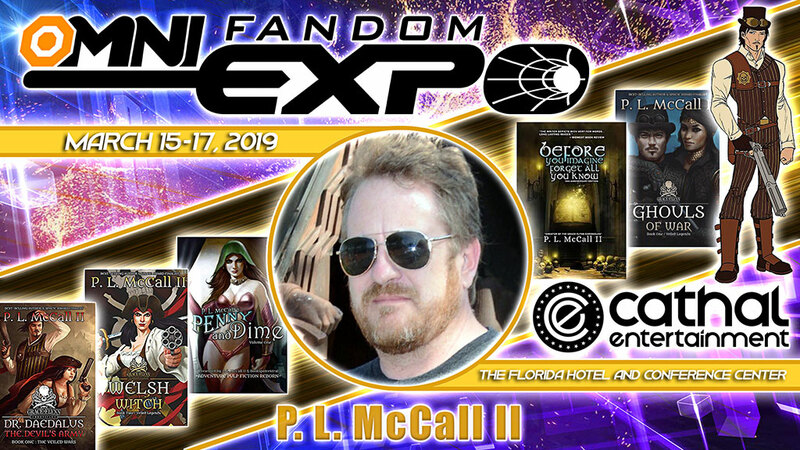 Author P. L. McCall II joins Omni Fandom Expo 2019! Omni Fandom Expo is pleased to annouce the addition of P. L. McCall II! He is a Mythologist, Author, Comic Writer, Screenplay Writer, Shared World Novelist, Blogger and the Owner of Cathal Entertainment, a multimedia company located in South Florida. P. L. McCall II is a Creative Consultant for his own imprint Cathal Entertainment, the creator of the “Grace Flynn Chronicles” and many other IPs, and attends multimedia conventions and shares his knowledge of creative writing and publishing with attendees through panels and the personal mentoring of new writers. He is represented by JD Dewitt of 5x5 Productions and has appeared at over 350+ Comic & Multimedia Conventions. Cosplay Guests at Omni Fandom Expo! Omni Fandom Expo always loves to show support for local cosplayers, and we welcome both our new and returning Cosplay Guests! Stop by, say hi, and check out their panels! 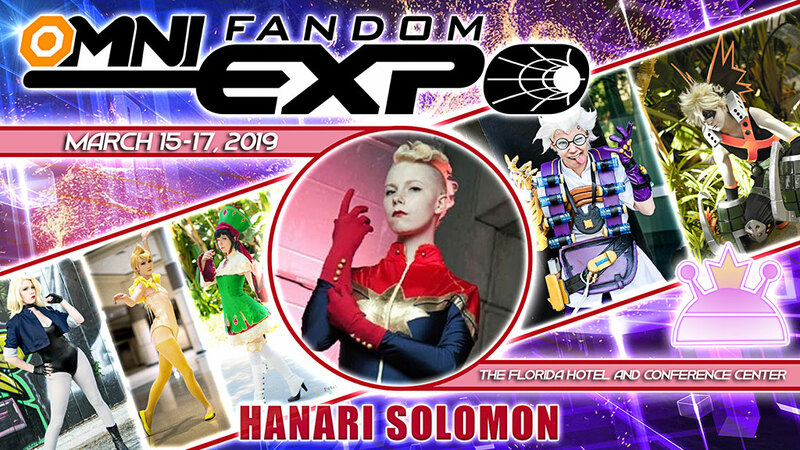 Hanari Solomon is a national competitive cosplayer with over 50+ costumes under her belt. Florida based, she travels the country competing in cosplay competitions to hone her skills and meet new people along the way. She is very well known for her various Junker cosplays from Overwatch, making specialized prosthetic limbs, and immersive character personification. Her ultimate professional goal is to make a living off of costume creation through competitions, Patreon, or working for a major costuming studio. 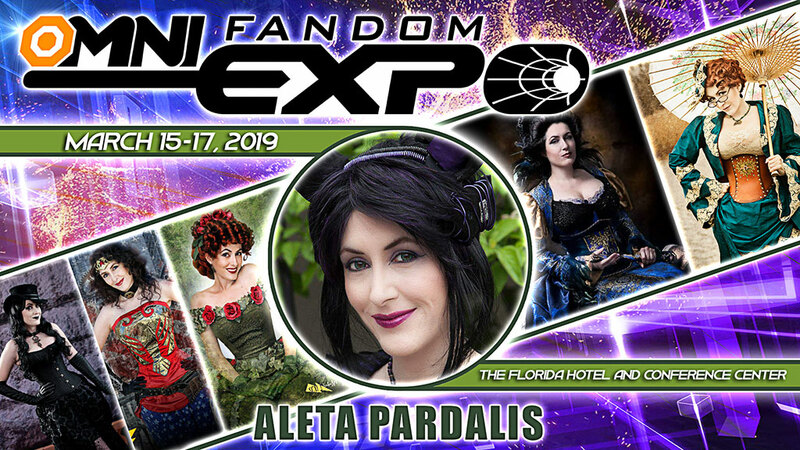 She has won multiple major awards for her costuming skills, including Best In Show at Anime Expo, and has also judged several contests throughout the Florida convention circuit. Hanari looks forward to adding more feats of costuming excellence to her repertoire in the future! Mur has been a dedicated craftsman for over half a decade, creating detailed videogame and anime-inspired costumes. He has won over 10 awards for his craftsmanship, including four Best in Show. Mur focuses his craft on using upcycled materials, adding individual flair to each costume, and always striving to learn something new. Aleta Pardalis is the daughter of a clothing designer so grew up around sewing and design. She has been designing clothing and costumes most of her life. After graduating high school in Florida the early 90’s she discovered comic, sci-fi and anime conventions and started to create comic and anime costumes for those events. By 2003 she was regularly attending DragonCon and participating in the Dawn look-a-like contest held there. She credits both DragonCon and that competition for upping the bar for her costuming. She started to specialize in original versions of costumes fairly quickly finding that she prefers original design to reproduction work. Frailu is a Florida based cosplayer who has been actively doing costuming since 2011 and memeing since birth. She cosplays continually and loves to play games. If you are lucky, you can catch her streaming on Twitch.tv! Frailu travels to countless conventions in the United states all the while continuing her dream of constantly learning, doing costuming and crafts, and meeting her fans and all kinds of new people along the way! What do you think it is?! I was nosy so I looked through the Staff's planning for Omni Fandom Expo's 2019 Crystal Carnivale and I found this photo!! Can you help me figure out what they're up to? As soon as I found it they tried to lock me out of the rest of the information so I couldn't share it! Boo! Hello everyone! We've received a new link to use for hotel room reservations from our host hotel! We will be updating the hotel page, so if you are having any issues making your room reservations today that would be why! Stay tuned! 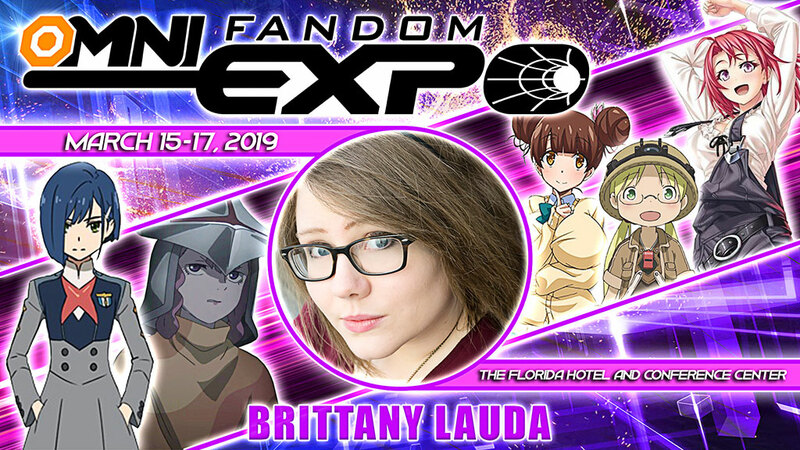 Brittany Lauda and Matt Shipman join Omni Fandom Expo for 2019! We are thrilled to announce that Brittany Lauda - Voice Actress and Matt Shipman - Voice Actor will be joining us this year! Brittany has lent her voice to infamous characters in recent hit shows like Ichigo in Darling in the FRANXX, Riko in Made in Abyss, Cow Girl in Goblin Slayer, and more. 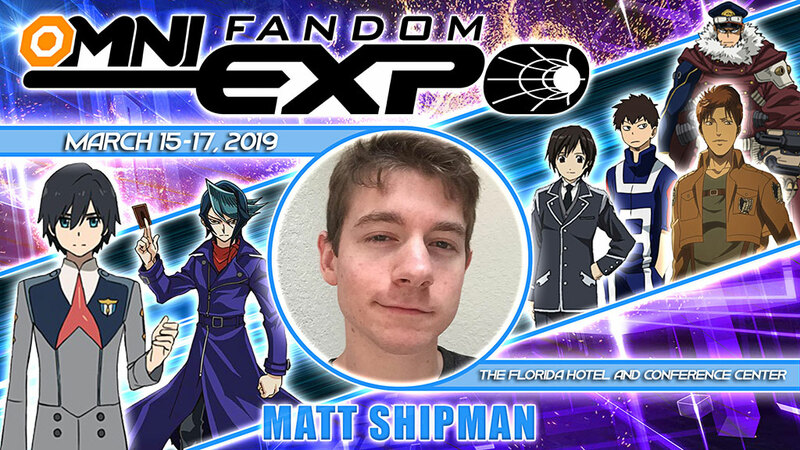 Known for his work as Hiro in Darling in the FRANXX, Inasa in My Hero Academia, Floch in Attack on Titan, and others Matt Shipman has made a name for himself within the anime community. Together, they have co-founded the voice over production company, Kocha Sound, and have contributed more than just their voice to the anime community, but their vision. We can’t wait to have you both! 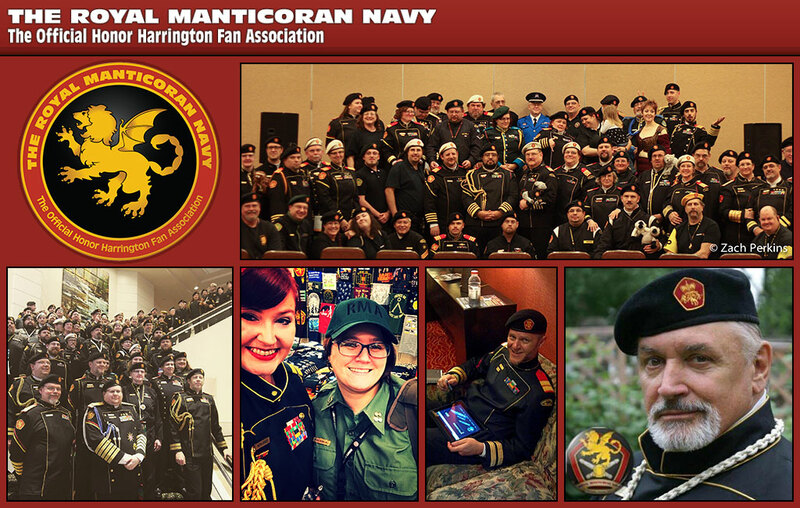 The Royal Manticore Navy at Omni Fandom Expo! We're excited to have The Royal Manticoran Navy: The Official Honor Harrington Fan Association join us at this year's Omni Fandom Expo! Inspired by the universe created in David Weber's famous novels, Honor Harrington, The Royal Manticoran Navy is made up of 5,000 members across the country. Learn more about them: https://bit.ly/2Q7PsB7. 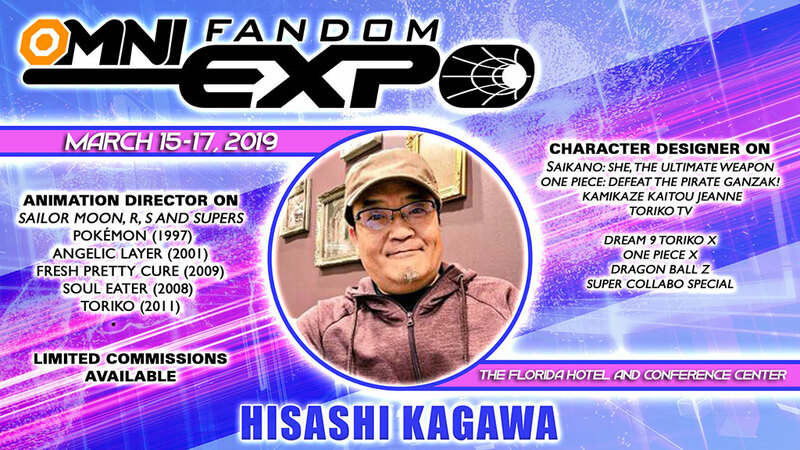 Help Bring SAWA back for Omni Fandom Expo 2019! SAWA had such a good time last year that she wants to come back to Omni Fandom Expo 2019 for another performance! Her concert last year was an incredible success and a lot of fans really want to be able to see her come back and have another chance to be on stage again! We need all her fans help to bring her back to the US to see her again! 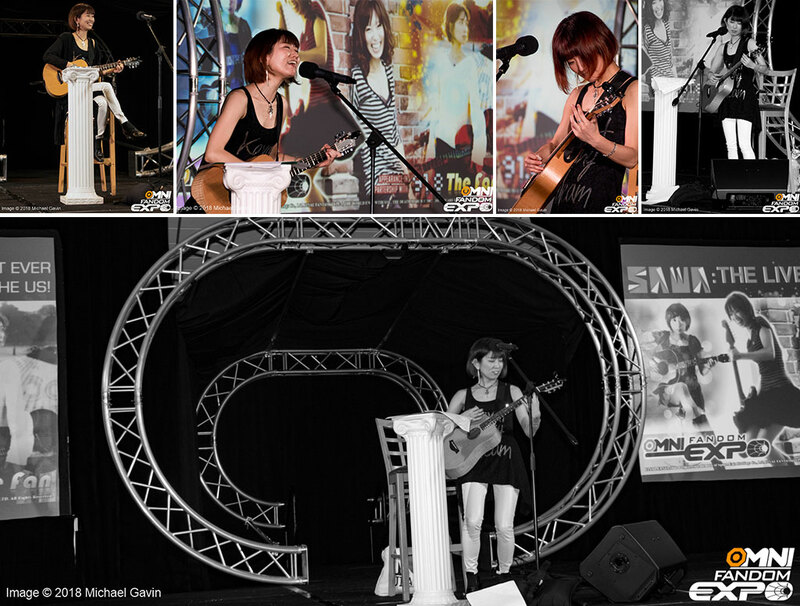 15 VIP Tickets sold = SAWA flies over from Japan and performs a 30 minute concert. Special Meet & Greet with SAWA for all VIP pass holders. Your name up on the website as a Sponsor for SAWA. 30 VIP Tickets sold = SAWA and her guitarist fly over from Japan and the concert is upgraded to 60 minutes. 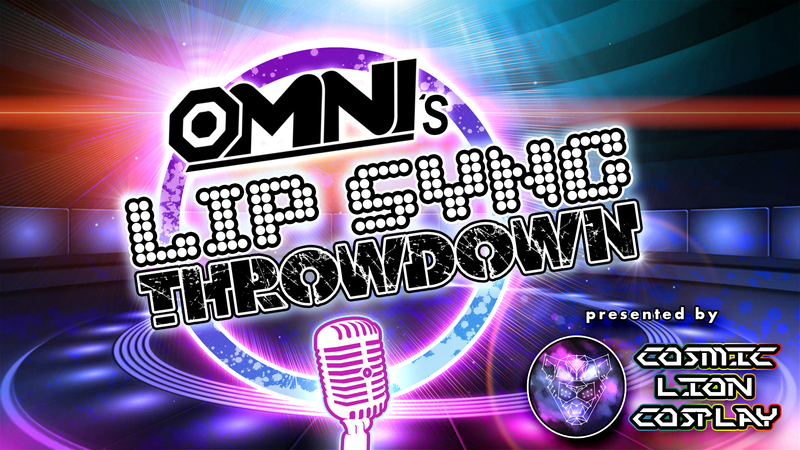 Omni's Lip Sync Throwdown is back for 2019! Are you a fan of dubsmash? Do you watch "Lip Sync Battle" on Spike TV? Are your lip sync skills more awesome than Clark Gregg or Hayley Atwell? If so, then Omni Fandom Expo has the contest for you and we invite EVERYONE to try out for it! How do you do that? Simple, just click here and folow the instructions. Instant fame may await you! By the way, here's the link for Clark Gregg and Hayley Atwell's showdown on "Lip Sync Battle". It's just too good to not share! The Application Review Process Has Begun! 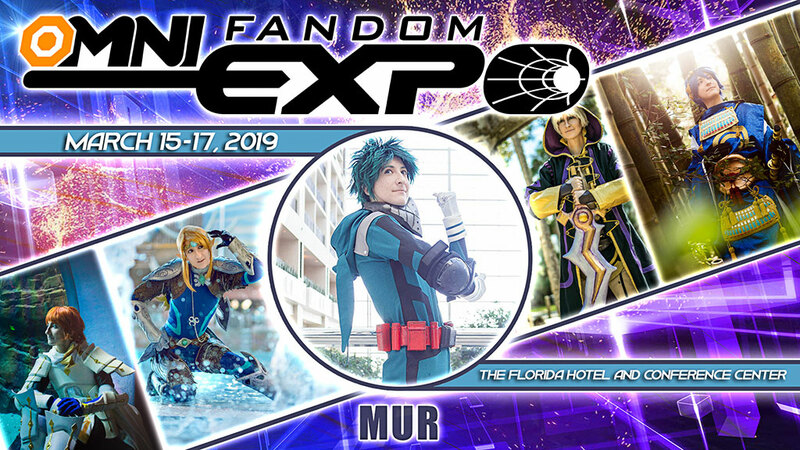 Thank you to everyone who stopped by the Omni Fandom Expo booth at Anime Festival Orlando this past weekend, and congrats to the two winners of the Free Weekend Passes for Omni Fandom Expo 2019! Now that AFO has come and gone, the Omni team has begun to review the applications for Studio Omni and the Exhibit Hall! If you have already applied, thank you and check your email for the response! If you haven't applied yet, remember to log in or sign up as a merchant to submit your application. Apply soon, as space fills up quickly! *Reminder: approved applicants for Studio Omni have 14 days after choosing their table to submit payment, or the table will be surrendered back into the "available" section! Omni Fandom Expo at AFO this weekend! This weekend is Anime Festival Orlando! Omni Fandom Expo will be in the Dealer Room this year! It's Booth 4, right by the entrance! Our Staff can't wait to say hello to everyone! So come on out, say hi, pick up a new flyer for Omni Fandom Expo 2019, ask us questions about next year, or just show us your awesome cosplays! We'll be having ticket raffles during the weekend, so stay tuned for more info! Exhibit Hall / Studio Omni (Artist Alley) are now open for applications! The Omni Fandom Expo 2019 Exhibit Hall and Studio OMNI (Artist Alley) areas are now OPEN for applications from all vendors, artists, podcasters, conventions, and fan groups! Anyone looking to purchase booths or tables are required to sign up for a Merchant Account on the Omni Fandom Expo website if they do not already have one. After that, merchants MUST select and pay for their booth on the Omni Fandom Expo website only. No mail / email / Facebook requests will be allowed. For those curious what Studio OMNI is, it is the Artist section at Omni Fandom Expo which is otherwise known as “Artist Alley” in most venues. This area is a showcase where one can expect to find original creation and “art form” style items and merchandise. Merchandise here is hand made and designed by each artist from original concept fan art to jewelry creations that feel like miniature works of art. Comic artists are also highly encouraged! Omni Fandom Expo will be approving Exhibit Hall and Studio OMNI applications on a case by case basis as they are submitted in order to ensure quality and diversity to attendees. Once a merchant/artist has been approved, they will then be notified and able to select their own booth space through the Omni Fandom Expo merchant system on OmniFandomExpo.com. Please note, however, that any Studio OMNI tables that are not paid for within 14 days of reservation will be released back to the public! Make sure you secure your place early! Click here to see the Merchant system! For any questions regarding the Exhibit Hall or Studio OMNI, contact Omni Fandom Expo Staff directly through the “Contact Us” section of the Omni Fandom Expo website. 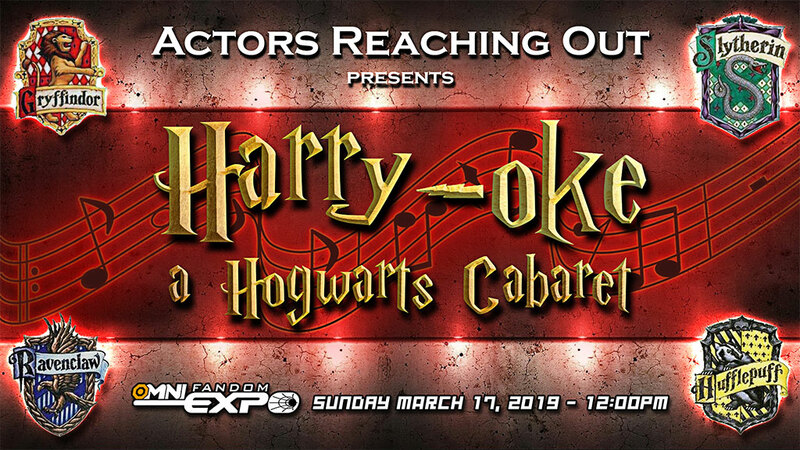 OMNI FANDOM EXPO 2019 DATE ANNOUNCEMENT!